Sorry it has been so long since my last post! We have been very busy, so the little free time I have had I haven’t felt like posting on here. 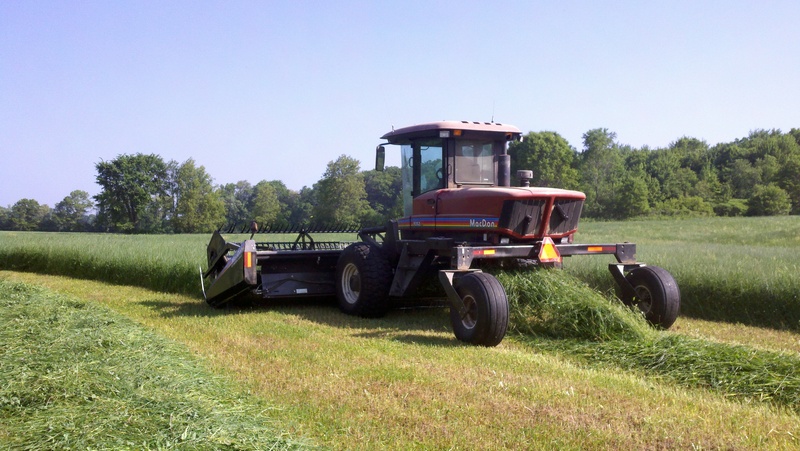 Making quality forage is something we take great pride in. It is also one of the major keys to raising healthy animals that produce lots of milk! 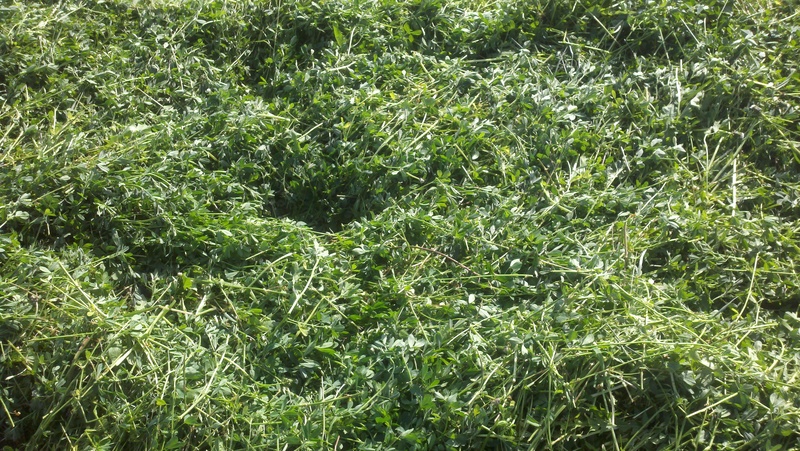 The hay that we make is primarily alfalfa. 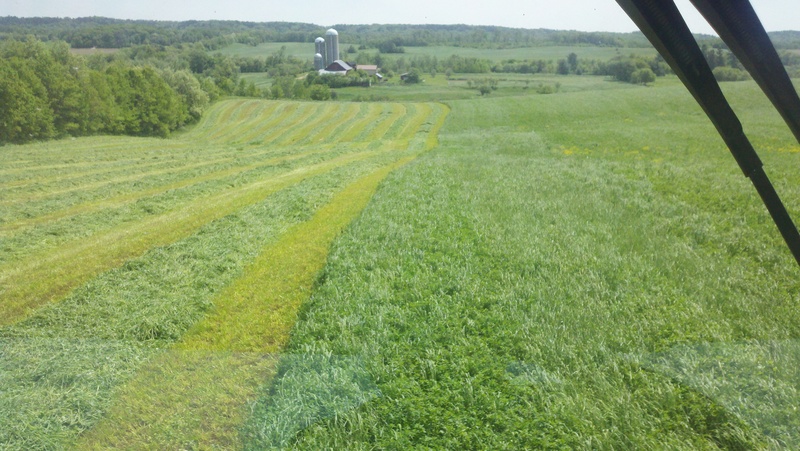 We do mix in a little grass, as it helps it dry faster after cutting, and we also have some clover in some fields as well. 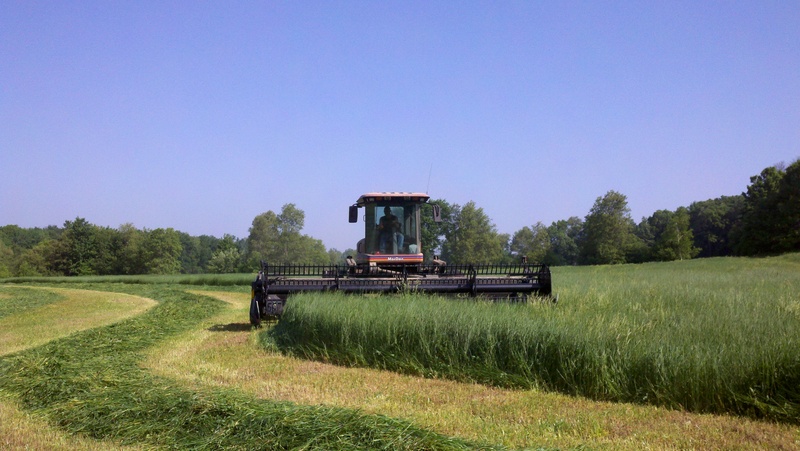 The first step is cutting the hay at the proper time. We want to cut it right before the alfalfa is budding. This gives us the balance of the most amount of feed and the best nutritional value for the cow. The Case cuts 19 feet and the McDon cuts 21 feet. Height of the Hay doesn’t show very well, but most of it was quite big, nearly waist-high on me in spots. So probably just a hair under 3 feet tall. 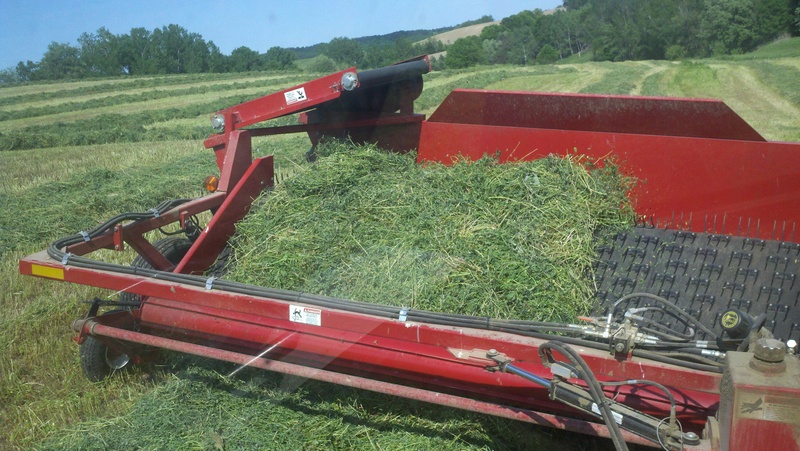 After cutting and allowing the hay to dry to the proper moisture, we will “merge” the windrows with a tool called a merger. Depending on how heavy the hay is and how fast it is drying, we will put 2 or 3 windrows together. 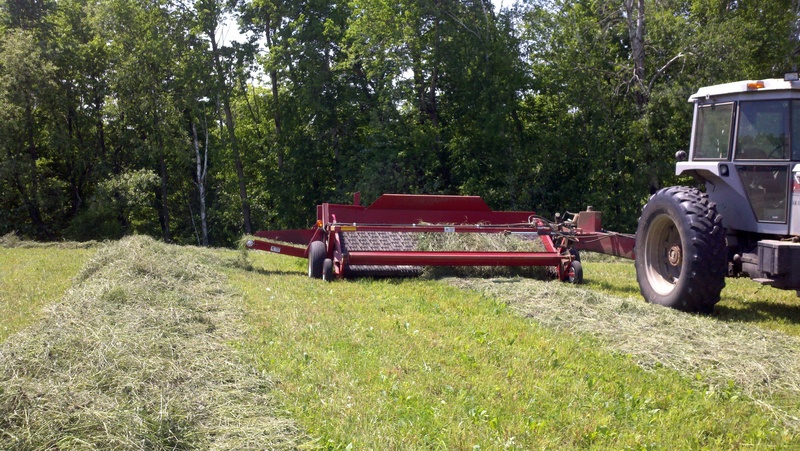 In this picture I am just putting two windrows side by side by moving each over half way. This allows them to dry faster as it flips them over so the underside is exposed, and the chopper can still pick both up in one pass. 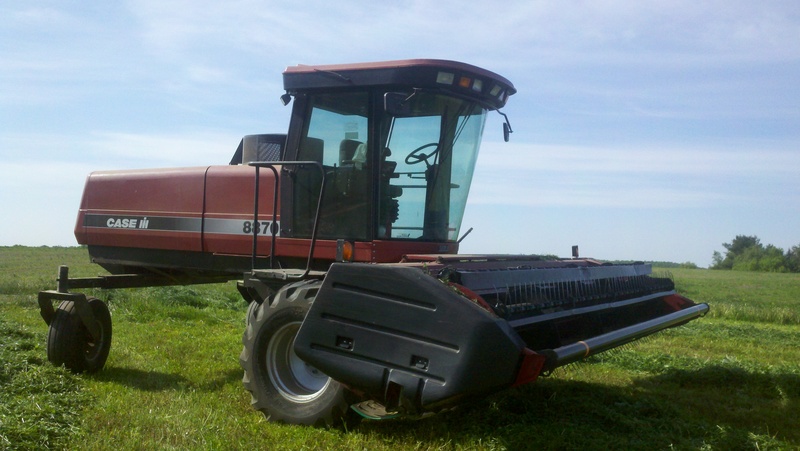 We use a merger instead of a conventional rake for a couple of reasons. 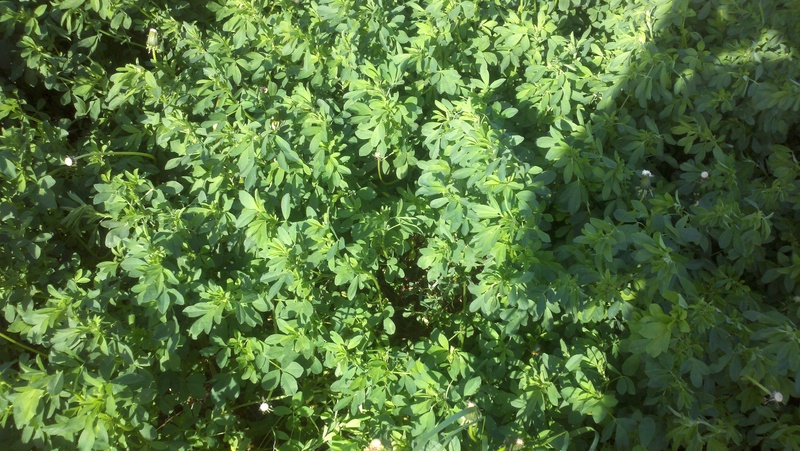 We lose a lot less leaves off of the alfalfa with a merger, and it also picks up less rocks. 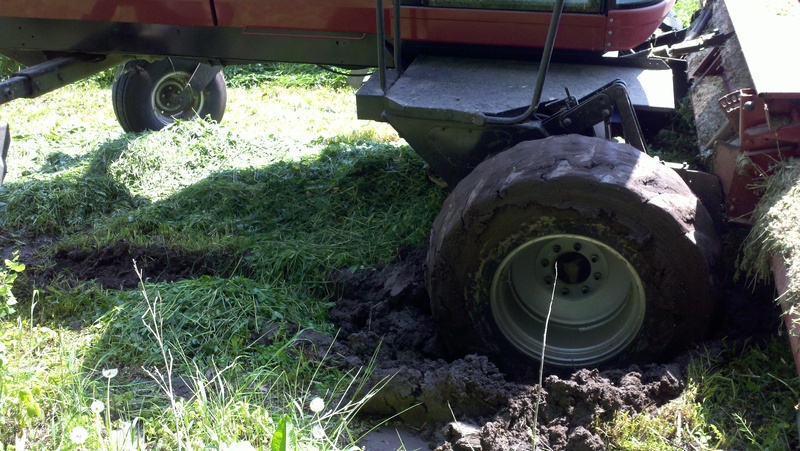 Rocks are very hard on the knives of the chopper, and we farm some rocky ground! Still to come: Chopping the hay, and filling bunker silo! Why are they called a “windrow”? I don’t know, that is always just what it has been called!